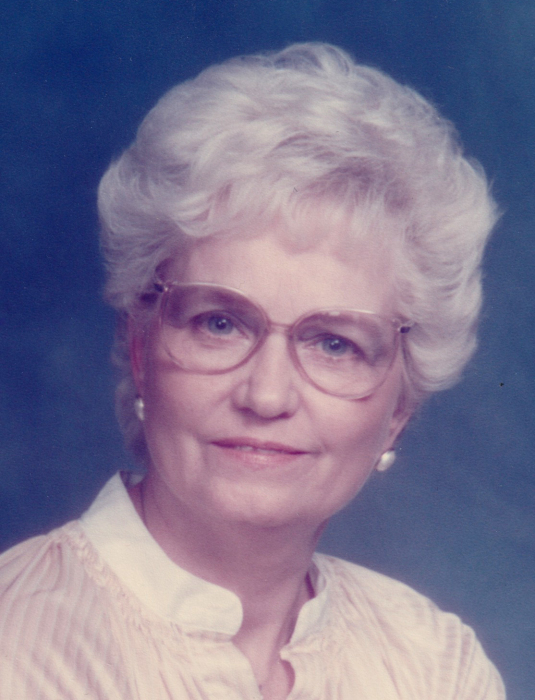 Dorothy Frances Faulstich, age 93, of Cicero, IN passed away April 7, 2019 at Miller's Merry Manor at Tipton, IN. She was born August 11, 1925 at Sheridan, IN to Frank E. and Emma Elizabeth (Schnadinger) Cline. She was a graduate of Sheridan High School with the Class of 1943. She soon entered the work force as a secretary at McMahon's Food Service near Noblesville and later at Olstrom & Chance Construction Company at Indianapolis. Wanting to be closer to her home, she then became a teller at Hamilton County Bank at Cicero, IN. Lastly, she enjoyed her work as an Avon lady where she could also socialize with her friends and neighbors. She married William Carl Faulstich on December 6, 1946. He preceded her in death September 22, 2006. In addition to her husband and parents, she was also preceded in death by brothers: Robert and Harold Cline, and sisters: Evelyn Newby, Alice Grinstead and Millie Pearson. Surviving her are four daughters: Linda (Jim) Barnhill of Arcadia, IN, Corky (Marion) Inman of Arcadia, IN, Peggy ( Bob) Bambrough of Atlanta IN and Cindy (Greg) Humes of Arcadia, IN, 9 grandchildren, 16 great-grandchildren, 5 great-great grandchildren, plus several step-great-great grandchildren. Funeral services will be held at 1:00 P.M. Wednesday, April 10, 2019 at Hartley Funeral Homes Cicero Chapel, 209 West Jackson Street, Cicero, IN 46034 with burial to follow at Cicero Cemetery. Visitation will be from 11:00 A.M.until time of the services. Memorial contributions may be made to the Alzheimer's Association, 50 East 91st Street, Indianapolis, IN 46209-4830. You may send condolences at http://www.hartleyfuneralhomes.com.